Day Four of Festival de Cannes – Page Officielle – Spent a relaxing morning in Nice doing some work and exploring. Headed to Cannes for the afternoon. 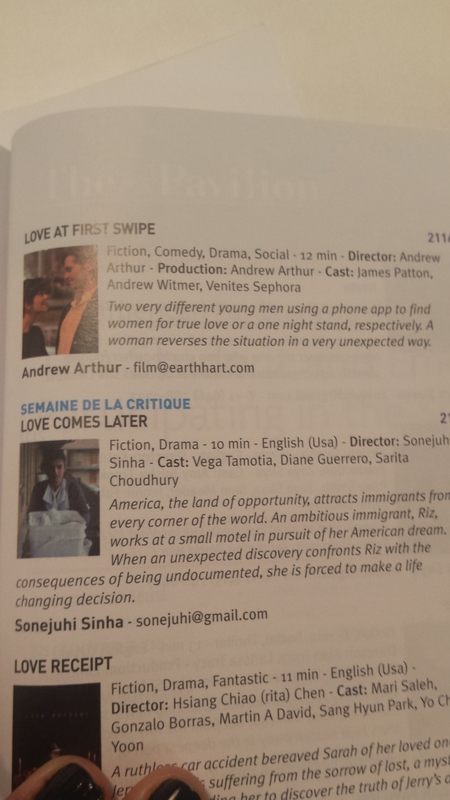 I had found out the day before that one of the films I worked on last year, ‘Love At First Swipe’, was in the short film corner. I hadn’t seen it before, so I walked around the Marché du Film – Festival de Cannes then spent an hour watching short films in the short film corner. Now I’m promoting two films in the short film corner! (‘Dead Letter’ and ‘Love At First Swipe’). I finally bought data for the Pavilion, so I could tweet and instagram and contact people. It seems you have to, because otherwise the phones don’t work (for me, anyway). Drinks and networking at the SFC Happy Hour. Had dinner at a place called Steak and Shake with Andrew, Kira, Serafina, and Ayman. We headed to Le Petit Majestic for a drink. We had been told this was the go-to place where all the Brits hang out, but we went far too early. Also, what do you think it means when the waitress gives you wine in a plastic cup (everyone else got glass, and there were wine glasses there), gives the bill immediately and returns to collect it before you’re finished, and doesn’t ask if you want another drink? Don’t know why, but she didn’t want us there perhaps? We finished the day watching ‘Apollo 13’ on a big screen on the beach. 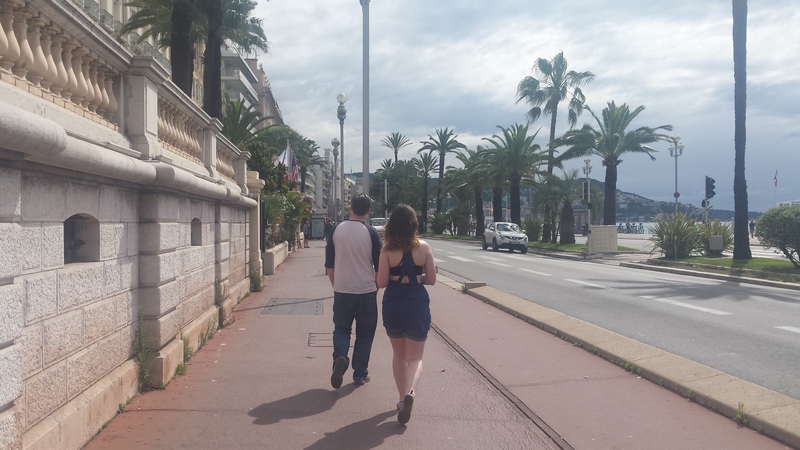 It finished after the last train, so we quickly caught an Uber back to Nice.